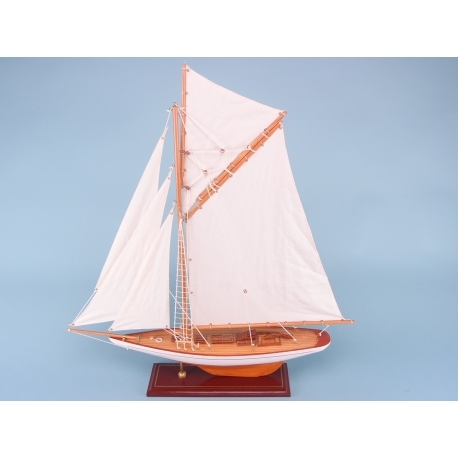 This is a superb replica of the Lulworth yacht measuring 95cm. The boat's name comes from Lulworth Castle, which belonged to her second owner, Herbert Weld, whose grandfather was a charter member of the Royal Yacht Squadron. 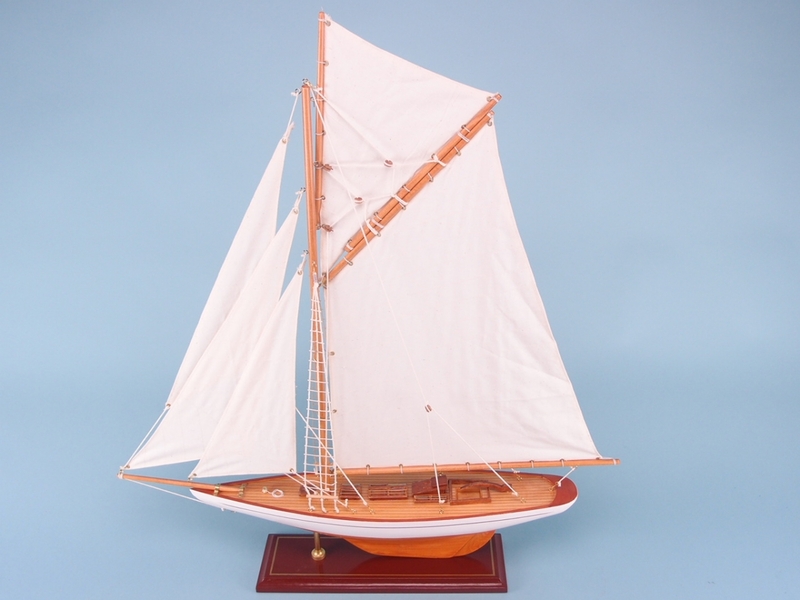 The Lulworth was built by the White Brothers' Yard for Richard Lee, who wanted a racing boat to compete in the premier yachting league in Europe: the British "Big Class".